Last year I wrote about how I was learning to use Google Sketchup and that I was planning to use it for some home improvement projects. 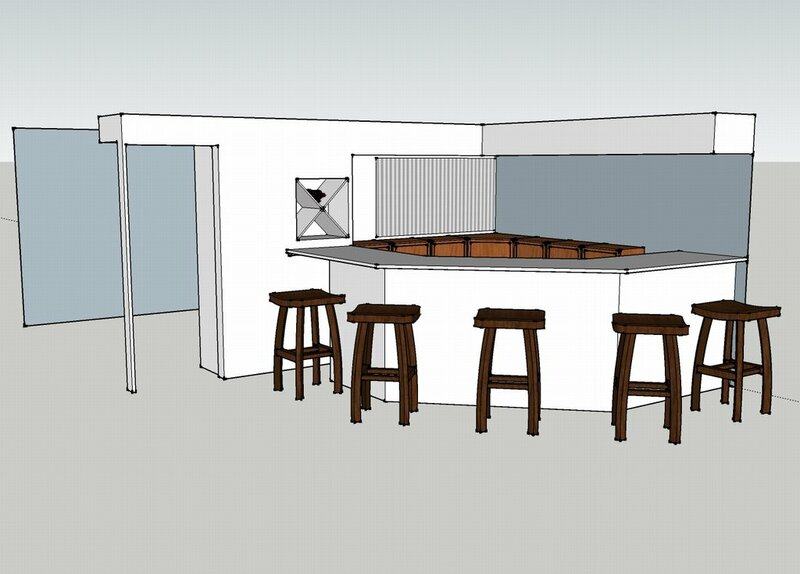 The first project is a basement bar that I have been planning ever since we moved into our house. I have found Sketchup to be extremely useful in transferring the rather vague picture in my mind into more concrete terms. The modeling has allowed me to estimate material costs and start construction a lot sooner than I would have otherwise. It’s also nice having “blueprints” to reference, and verifying the measurements with the virtual tape measure before making the cuts in the real world. I have a lot more confidence that everything is going to fit when I’m done, since I have a 3D mock-up of the entire project that I’ve already “walked through” before I ever started building. The project is still in work, but I’m already seeing the benefits, so I would highly recommend Google’s free software (which is now up to version 8.0) for your home improvement projects.